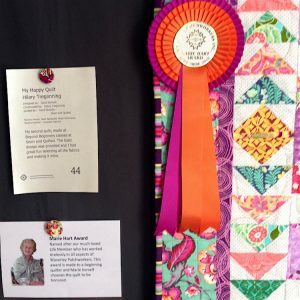 Three awards were made on Saturday. 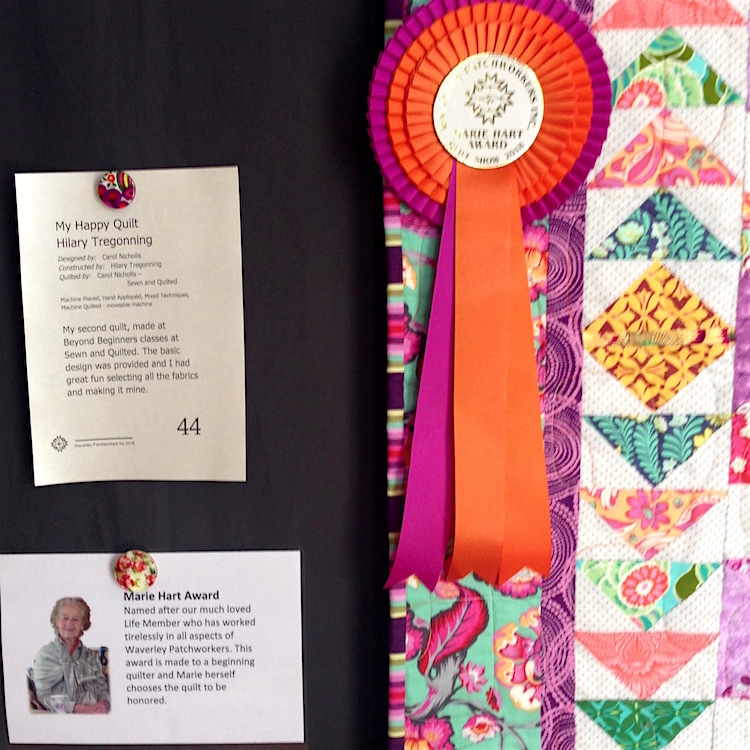 Marie Hart Award, named after our much loved Life Member who has worked tirelessly in all aspects of Waverley Patchworkers. 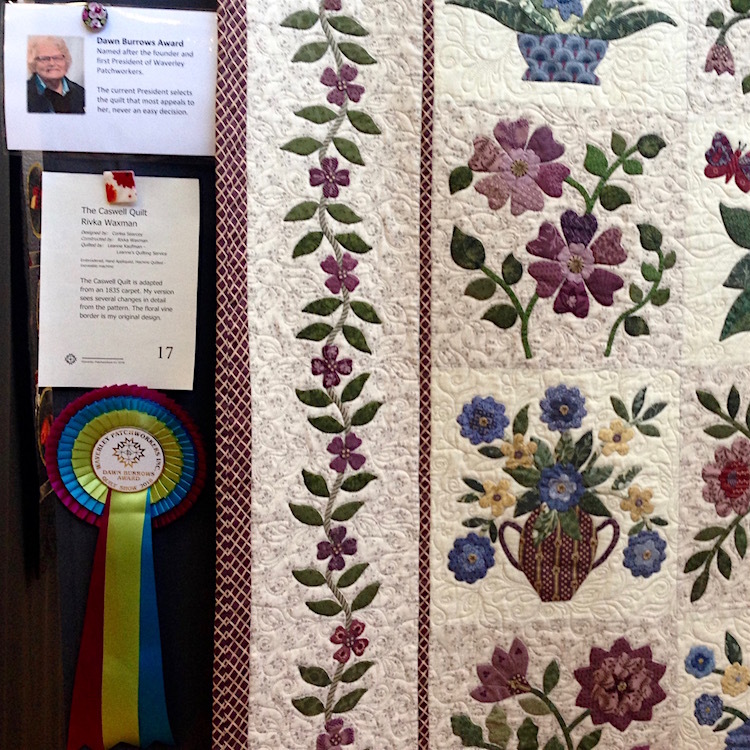 Selected by the current President and named after the founder and first President of Waverley Patchworkers. 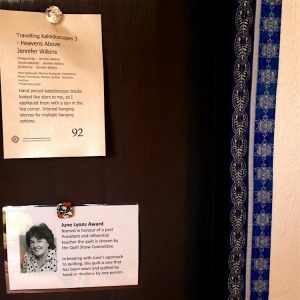 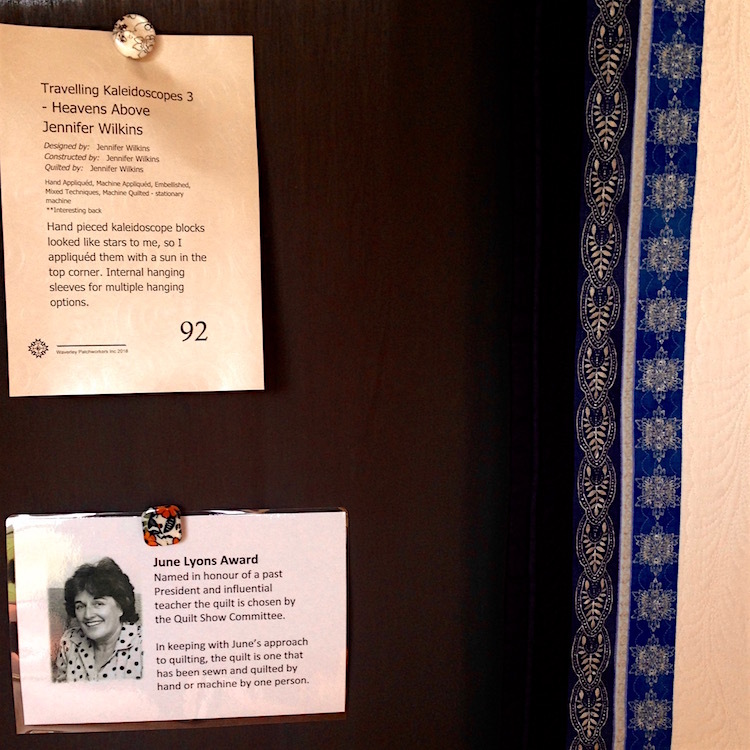 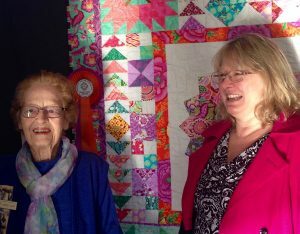 Rivka was surprised and thrilled to receive President Jill’s award for her version of The Caswell Quilt. 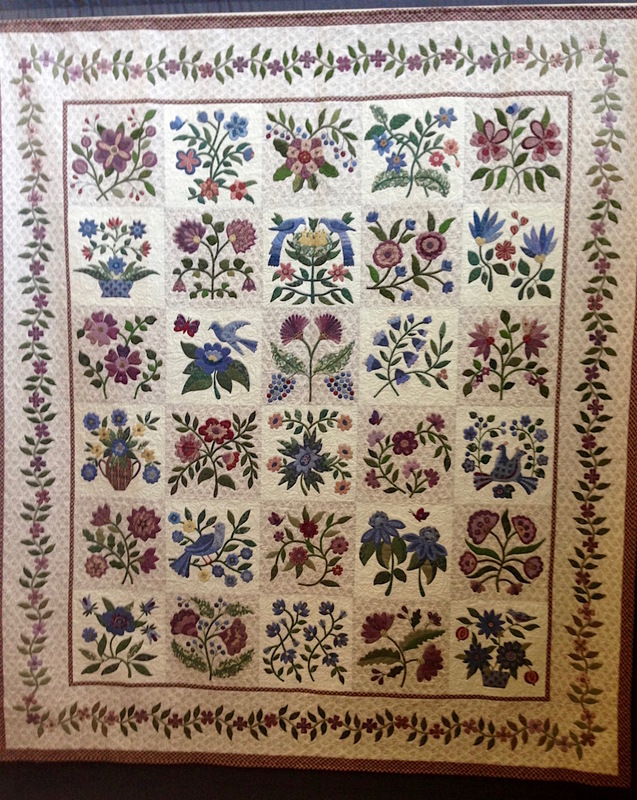 She explained that she made lots of changes to the design as she likes flowers and leaves to look very natural. June Lyons Award, named in honour of a past President and influential teacher. 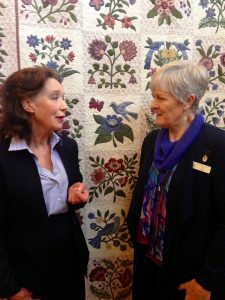 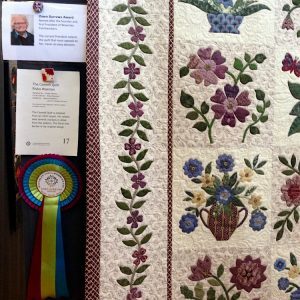 The choice of the Quilt Show Committee and must be a quilt that has been sewn and quilted by hand or machine by one person. 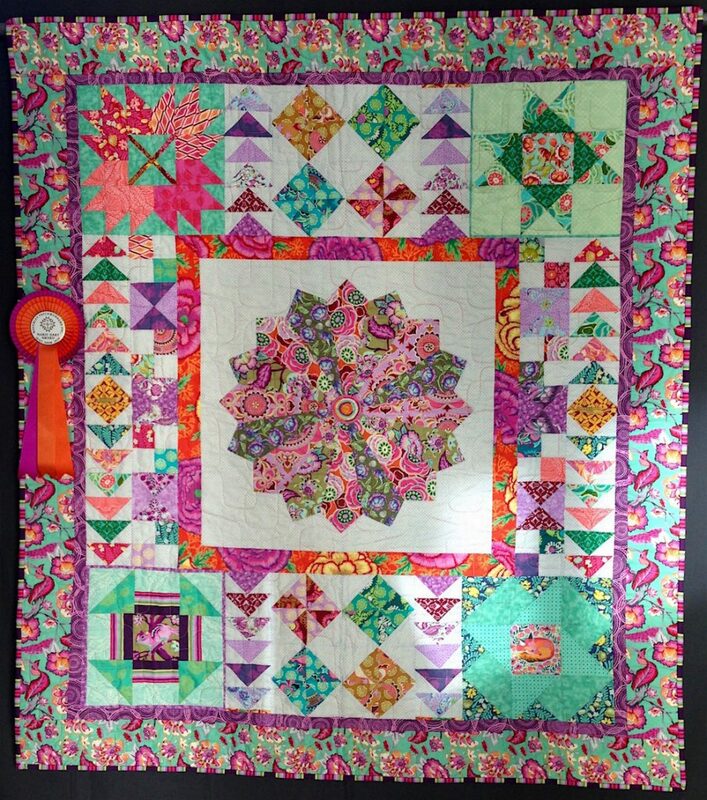 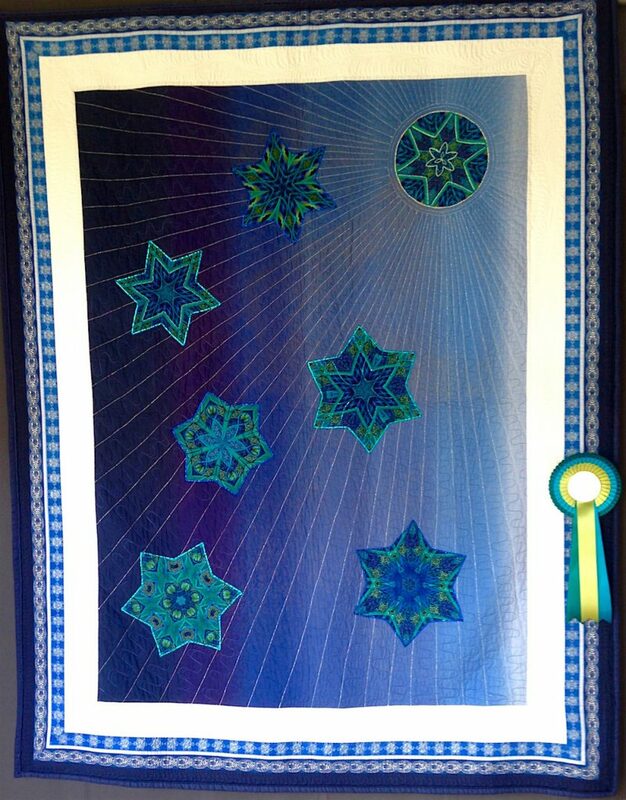 Jennifer is another happy award winner with her quilt Travelling Kaleidoscopes 3 – Heavens Above. 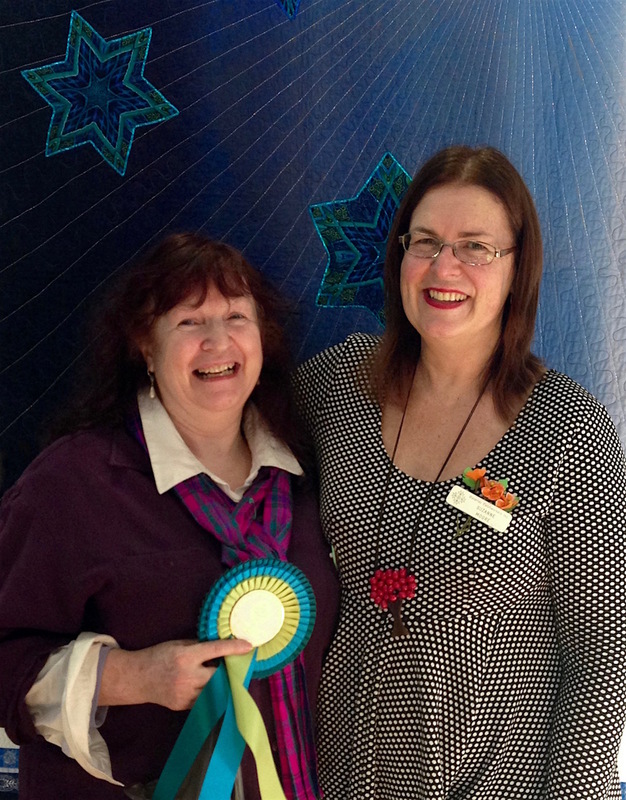 She received her ribbon from Suzanne our Quilt Show Convenor.